Research in our lab focuses on neuroethological questions such as neural decision-making and sensorimotor plasticity in a behavioral context. More specifically, we study how the environment modifies the expression of adaptive behaviors and individual neurons. 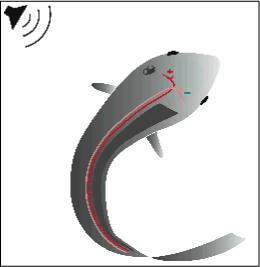 For this purpose, we use the Mauthner cell system in teleost fish which mediates the startle escape behavior (C-start). This system is remarkable in that individual neurons and their connections are identifiable and can be investigated in vivo at the synaptic, cellular, and network levels. Moreover, the neural activity of these neurons can be directly linked to distinct aspects of the behavior, a rare opportunity in the vertebrate brain. In short, we study the neural basis of behavior and its modification at multiple levels of biological organization, from molecules to motor action. We employ a wide range of approaches including high-speed video analysis of behavior, in vivo electrophysiology, neuroanatomy, immunohistochemistry, and pharmacology. 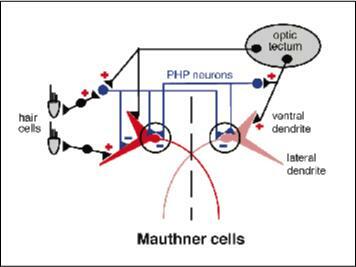 Most recently, we also use the Mauthner cell system as an identifiable target for single-cell molecular biology.